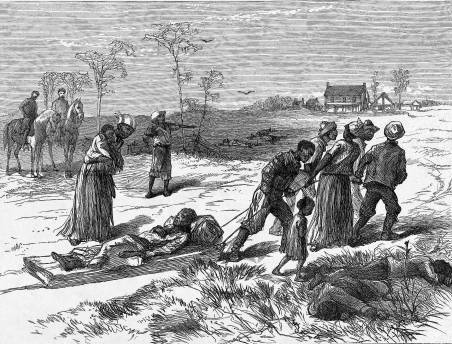 There were between 60 and over 100 African American Freedman and African American Militia killed on Easter Sunday, April 13, 1873 in Colfax, Louisiana by white republicans who were upset over the election for Governor and other state offices. Most of the African Americans were killed after they surrendered. Three whites were killed during the massacre. This has been described as one of the worst incidents of racial violence during reconstruction.